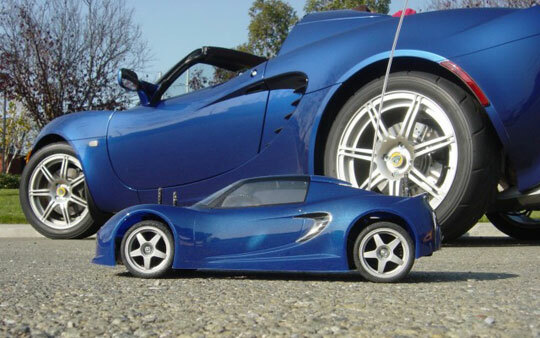 Jadi Modelcraft has created this 1:18 scale model of the Lotus Elise Mk II, model 111S. The model comes in red, blue and yellow and is made in China. 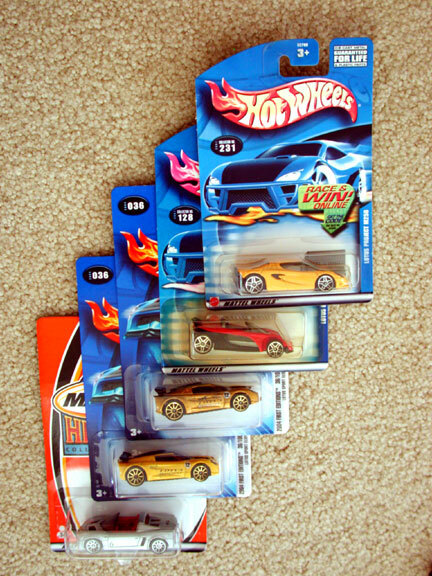 It is die cast metal with plastic interior, base, and trim. Revell (Germany) sells the same model but in right hand drive configuration.It comes in a box labeled Revell but the bottom of the model identifies the manufacturer as Jadi. You can find out more about the Jadi model, see some pictures contributed by others, and see the model disassembled. I painted the model below, removed some grille material, created a hard top in order to match my real car and taken more pictures of the completed model. Chronos made a die cast metal miniature of the Lotus Elise Mk I. Unfortunately this model is becoming increasingly difficult to find. SMTS also released a 1:43 die cast kit. Included here is a picture of the parts. Please feel free to email me if you have questions about this particular kit. Kiyoshi built a small radio control model and painted it the same color as his real car. 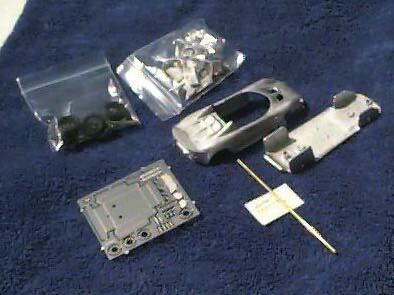 The body is by HPI and is 190mm 2000 Elise body. It's also available in a 200mm size that's for nitro cars. The bodies can fit nearly any touring car chassis. It uses a Tamiya TA01 chassis. * Pro front and rear suspension with adjustable camber. * Four wheel drive system for high grip on parking lot surfaces. * Powerful .12E Nitro Star engine with fuel tank and tuned muffler. * Four wheel independent suspension. * Oil-filled shock absorbers with nylon bodies and bladders. * Highly efficient triple belt drive with front and rear gear differentials. * 2mm aluminum chassis to keep the engine cool. * HPI Racing wheels and high grip Super Radial tires with foam inserts. * Fiber reinforced nylon suspension arms with adjustable width.